What Are the Long Term Implications of Early Menopause? What Are the Common Symptoms of Early Menopause? Menopause is the time during which a woman's body makes the transition from being fertile to infertile. Women usually begin menopause between the ages of 40 and 50, but in rare cases, some women may go through menopause prematurely, between the ages of 30 and 40. This can be the result of a hormonal imbalance or sometimes a hysterectomy. During early menopause, a woman may experience many of the symptoms experienced during menopause. These include hot flashes, vaginal dryness, irregular periods, and others. Read on to learn more about common symptoms of early menopause. 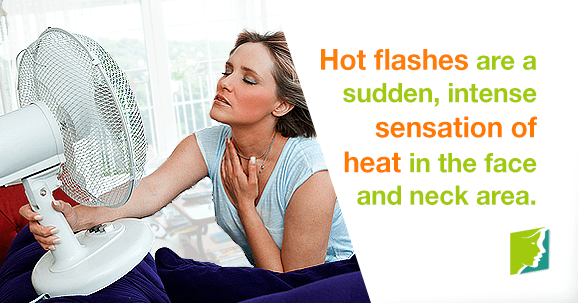 Hot flashes are one of the most common menopause symptoms. They are characterized by a sudden, intense sensation of heat in the face and neck area. They can be a very uncomfortable and flustering experience, and they can come on at any time. They are mostly caused by the fluctuations in estrogen and progesterone levels that occur during the menopausal transition, and they generally go away after menopause. Vaginal dryness is a symptom of menopause that is caused by low estrogen levels, so it is possible that it will continue into postmenopause. Vaginal dryness is defined as dryness and discomfort around the vaginal area. It happens because estrogen enters into a state of flux during menopause, and this can alter vaginal health and condition. As low levels of estrogen continue into postmenopause, it is possible for vaginal dryness to continue as well. Vaginal lubricants and other forms of menopausal treatment can help to alleviate this uncomfortable symptom. Irregular periods are another common symptom of menopause and early menopause. In the time before menopause, fluctuations in hormone levels and the beginning of the cessation of the menstrual cycle can mean that a woman experiences irregular periods. However, menopause is defined as the point at which a woman has not had a period for 12 months. Therefore, it is highly unlikely that you will experience bleeding again after you have gone a year without a period. You should talk to your doctor if you have bleeding or irregular periods this long after your menstrual cycle has stopped, as this can be a sign of more serious health conditions. Early menopause, menopause, and postmenopause can bring distressing and uncomfortable symptoms for women of all ages. There are several simple, natural, and effective ways to treat your symptoms and improve your menopausal experience. For more information on early menopause and how to manage it, follow the links below. While most women approach menopause between their late 40s and 50s, a smaller contingent of women experience early menopause. Learn more here. Women may experience menopause before their 40s. This can be a difficult experience, but you are not alone. Find tips on how to deal with this. Early menopause is when women reach menopause earlier than average. Keep reading to learn about the causes of early menopause.